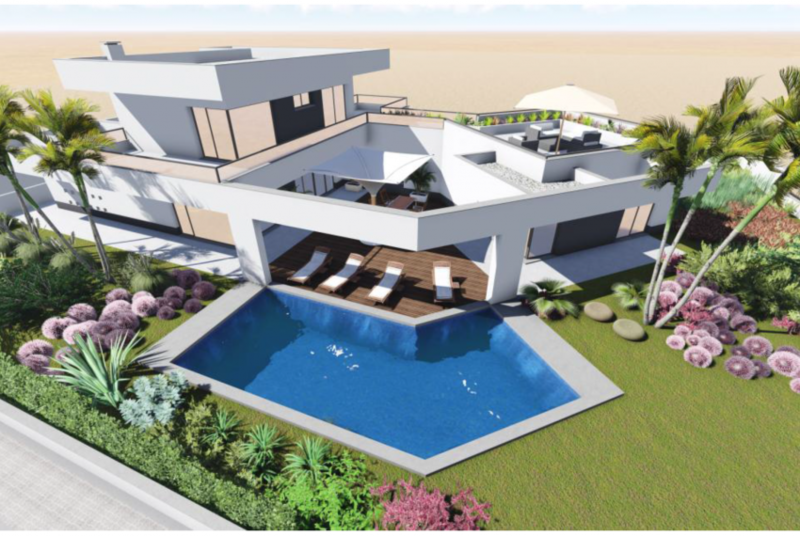 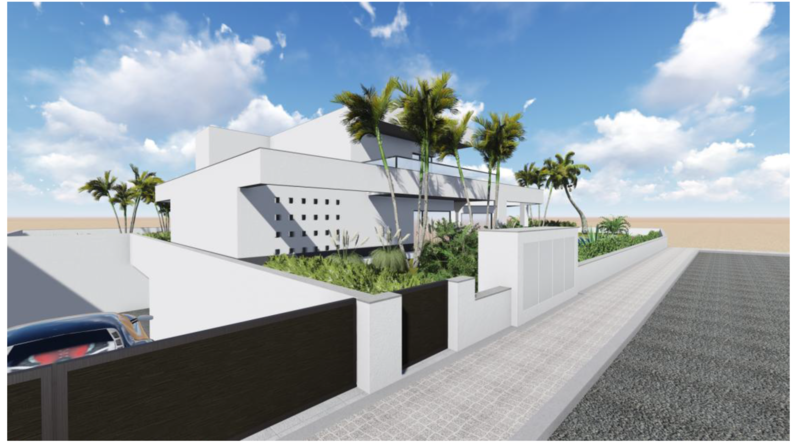 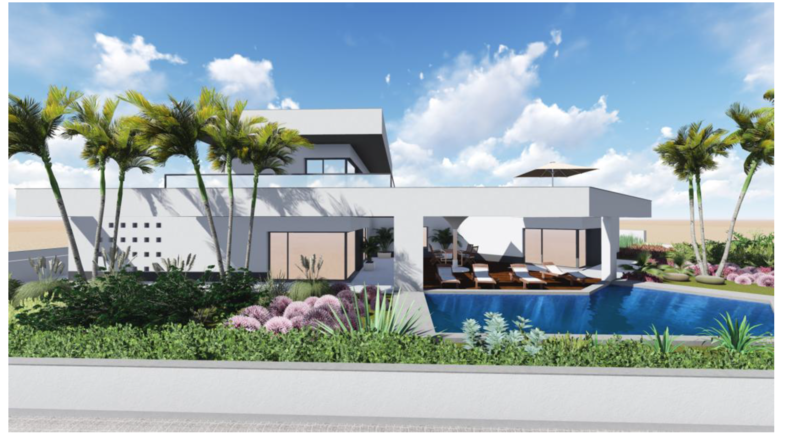 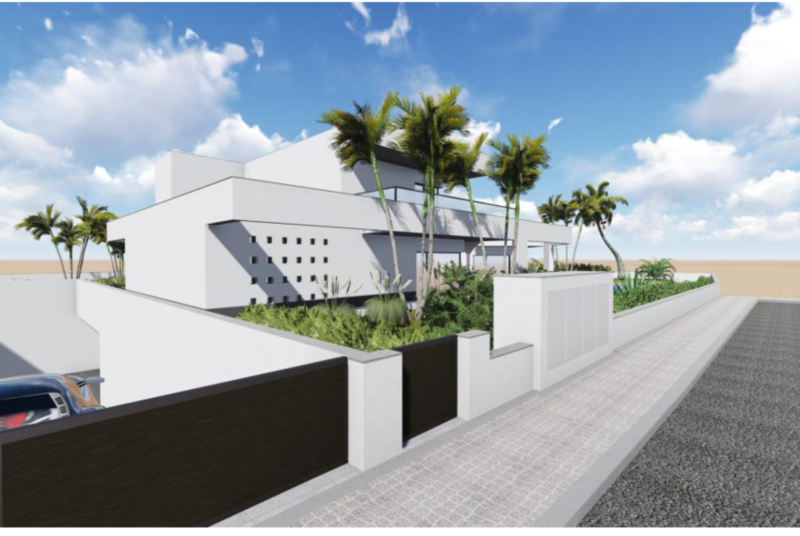 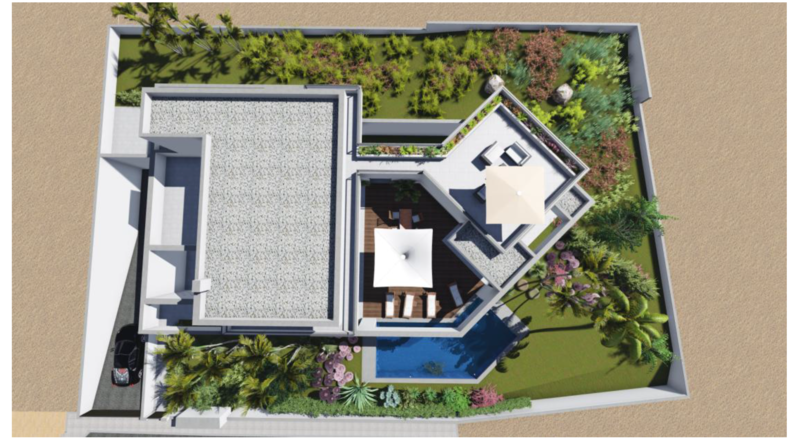 This stylish contemporary villa project is currently under construction and is located on the outskirts of Carvoeiro, therefore you can walk to the beaches, shops and supermarkets. 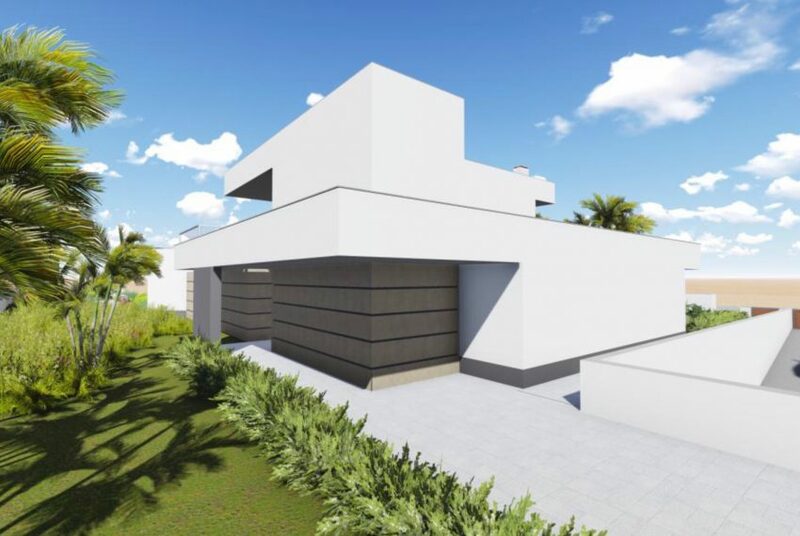 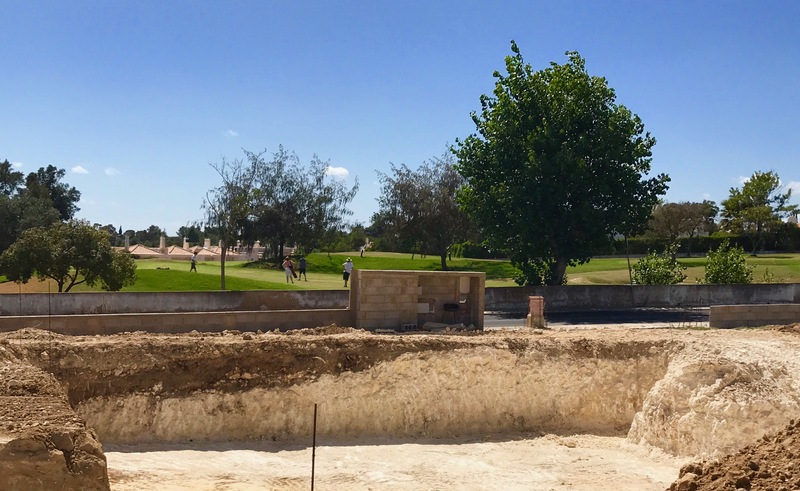 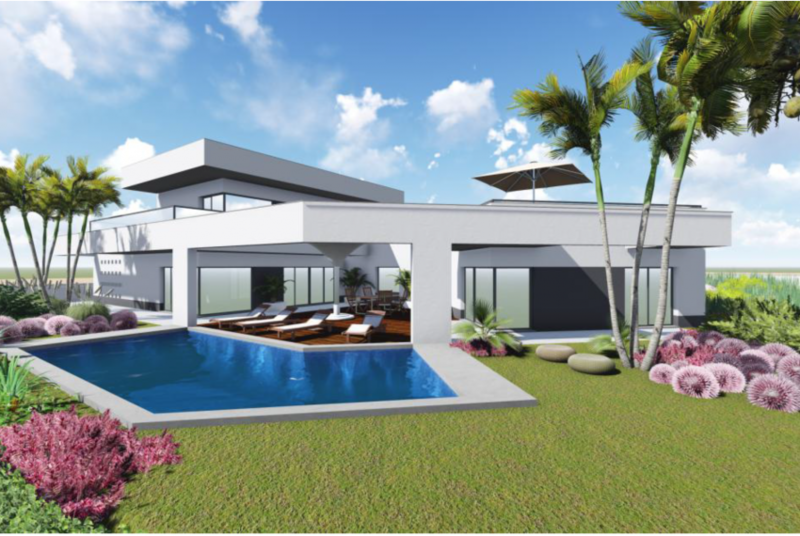 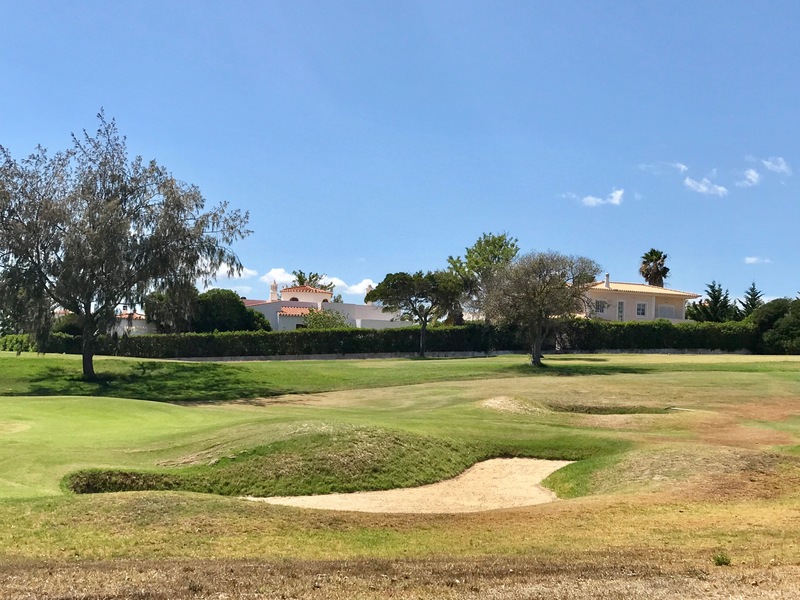 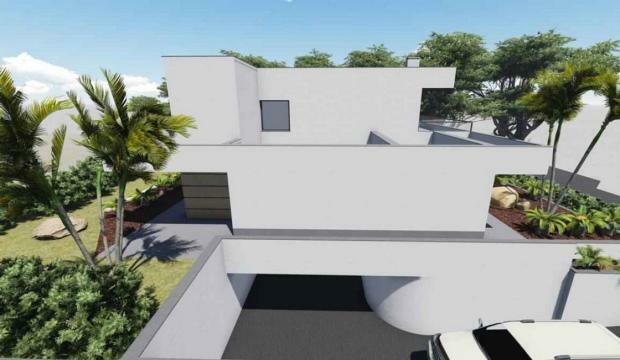 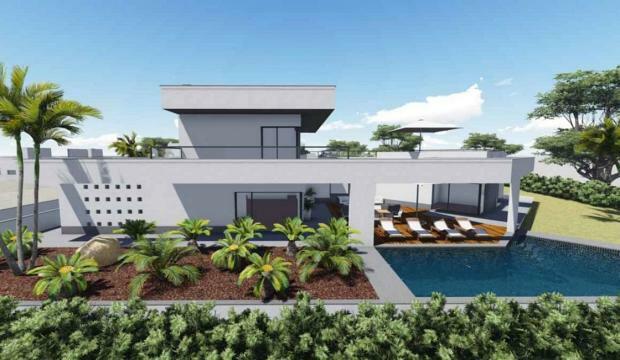 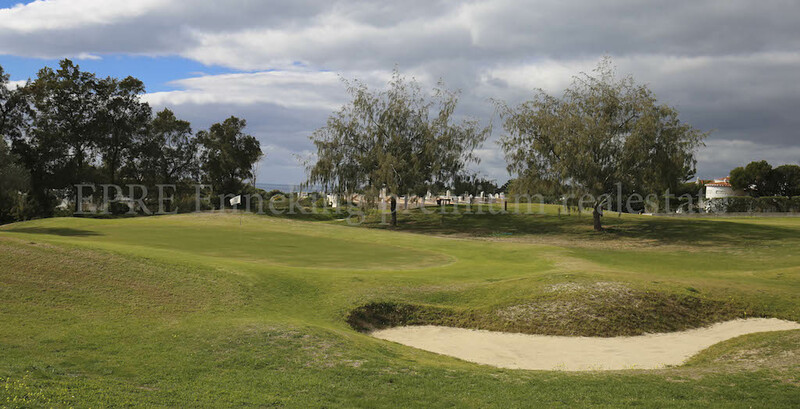 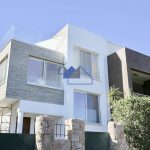 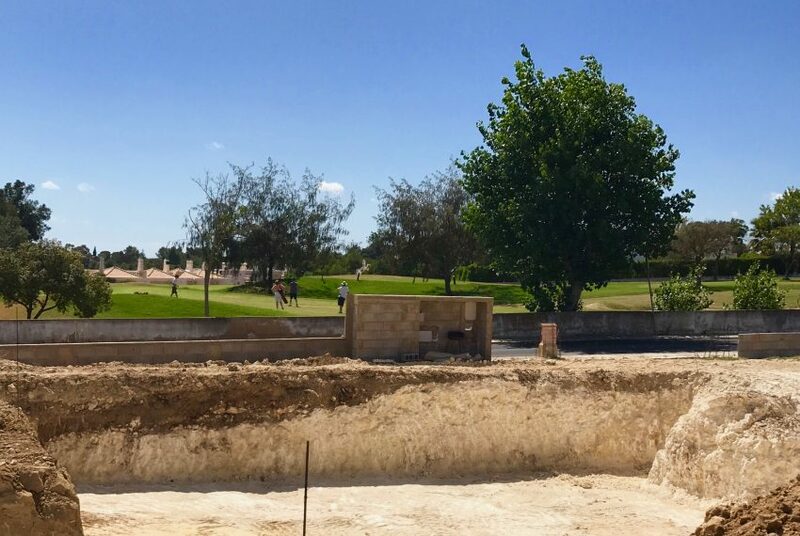 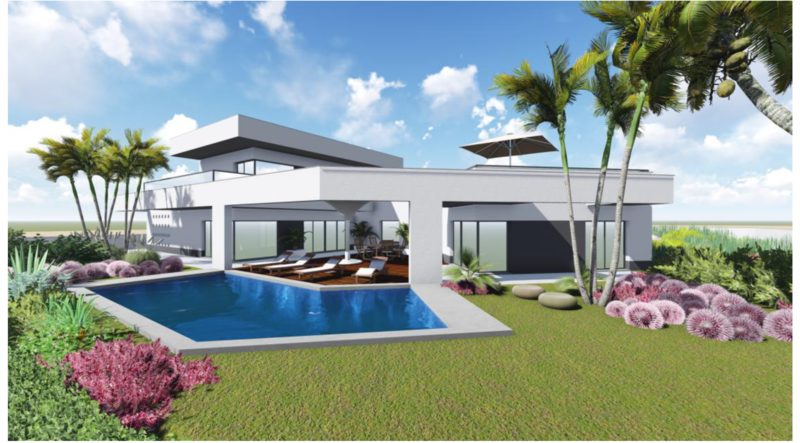 The villa is being built in a quiet residential area and is within walking distance of the Vale de Milho golf course. 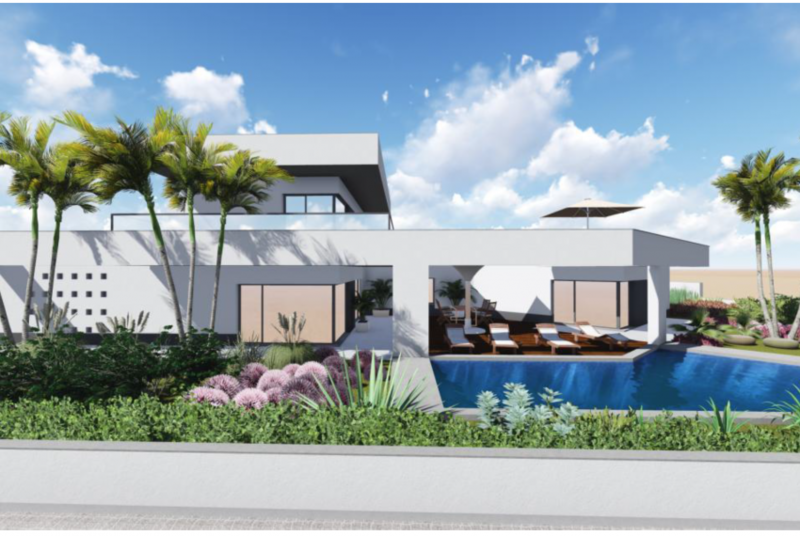 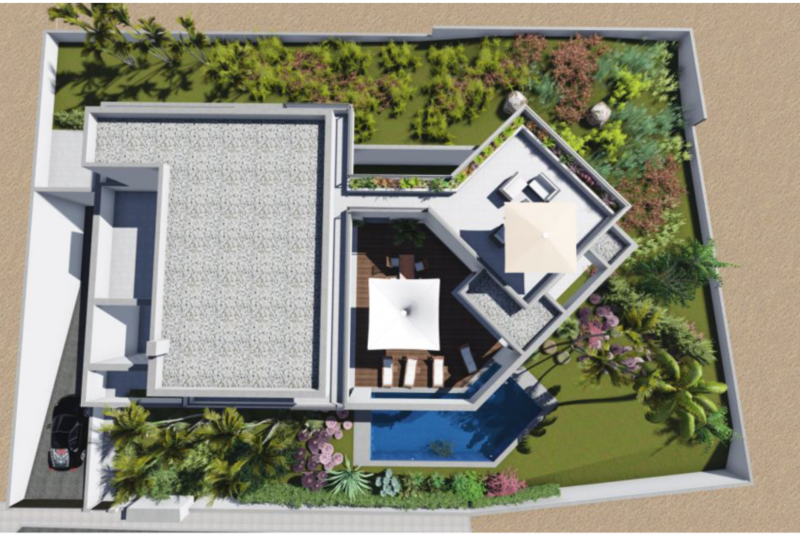 The villa will have 4 bedrooms, 4 bathrooms, private pool, an underground parking garage, roof terrace, built-in kitchen, and at this stage you can still choose the color schemes. 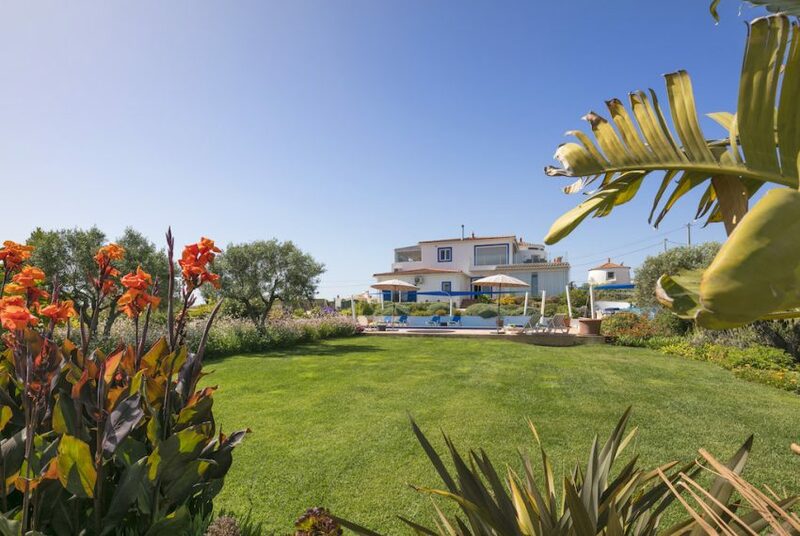 This beautiful 4 bedroom contemporary sea view villa Carvoeiro is located at the end of the beach and has a direct view of the golf course and from the top floor with the very large terrace a far away view of the sea. 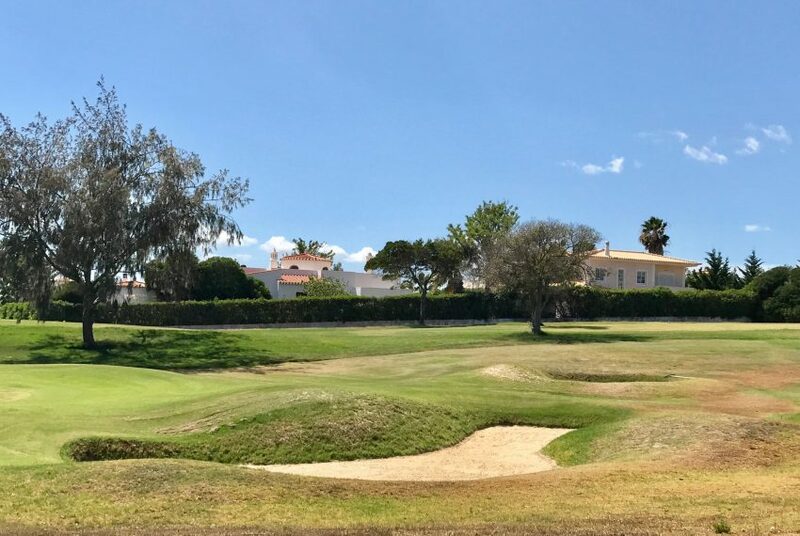 The Rocha Brava Holiday Park with its restaurants, supermarket, coffee shop is within walking distance so you can buy your daily magazines newspapers. 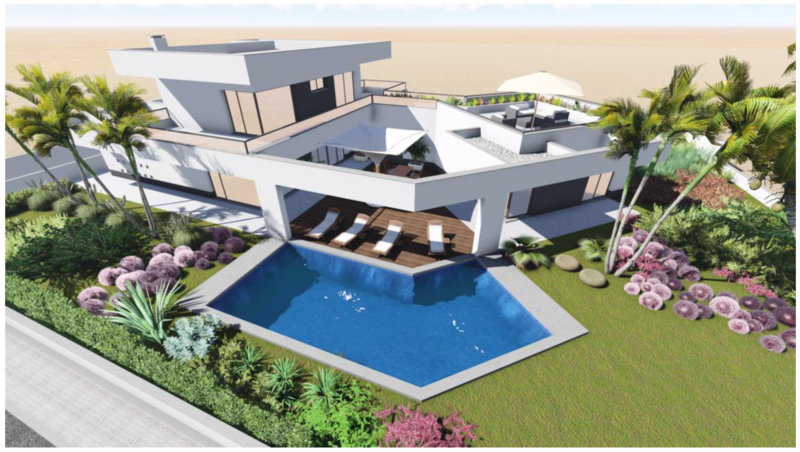 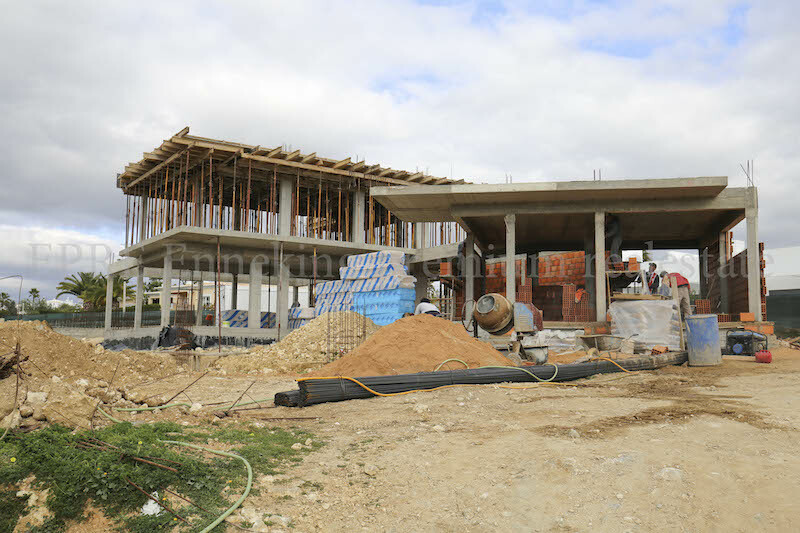 The villa will be completed with high standards and a visit to an existing and already built villa is a possibility for those really interested and who would like to see the villa in detail. 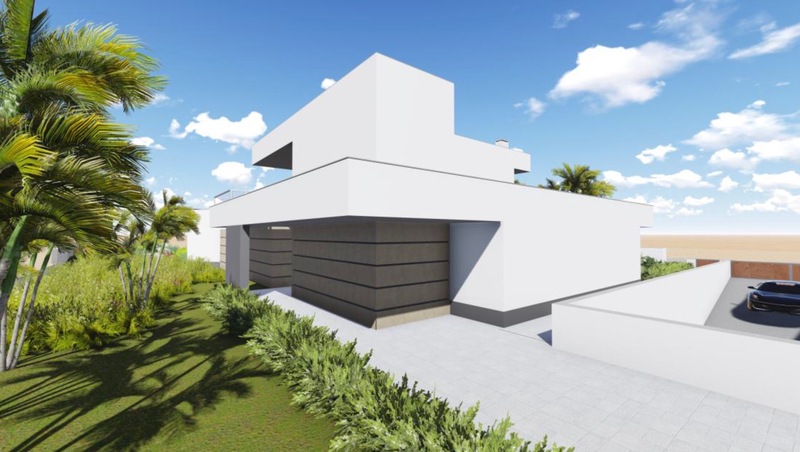 If you want further details, there are architects drawings available. 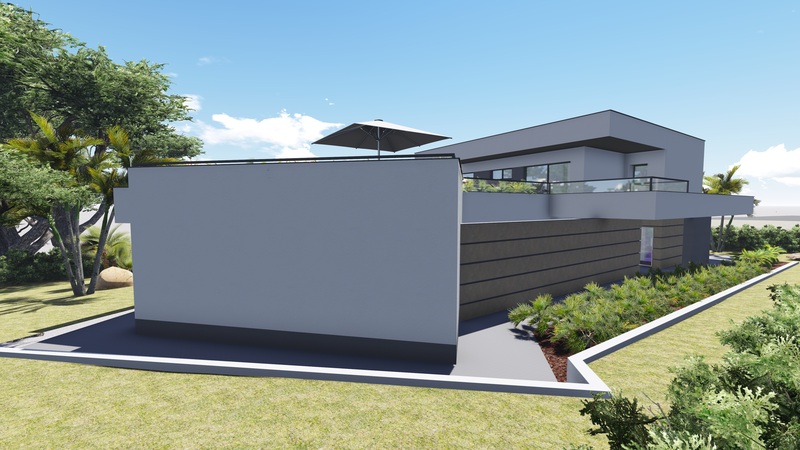 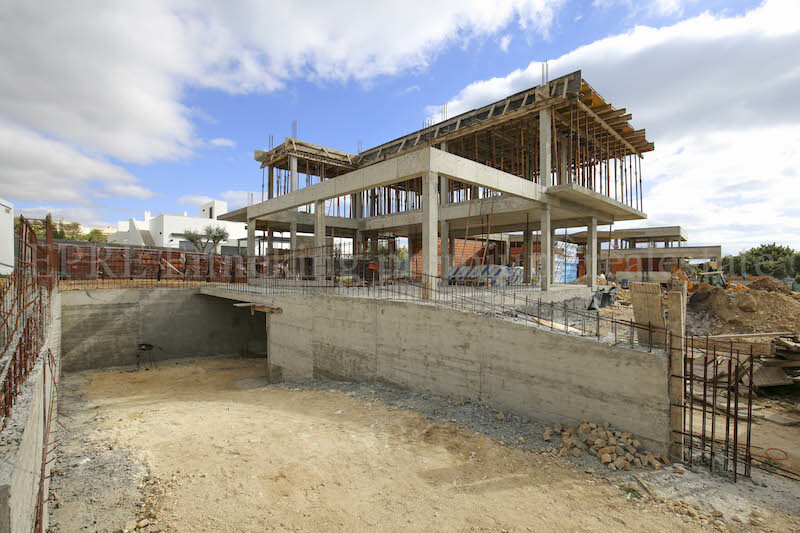 The garden is going to have a swimming pool and it is spacious enough to create sun terraces to place sun beds and between the kitchen exit to the terrace there will be a barbecue area with seating. 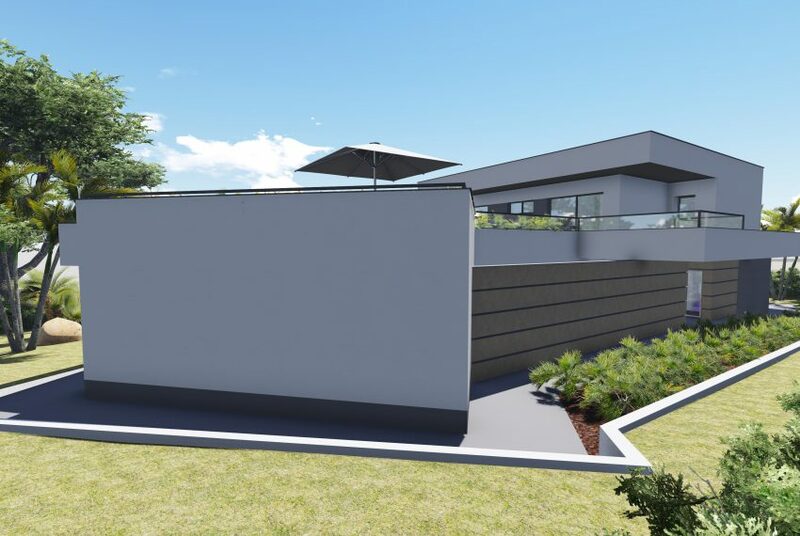 The entrance has electric gates and a separate entrance door. 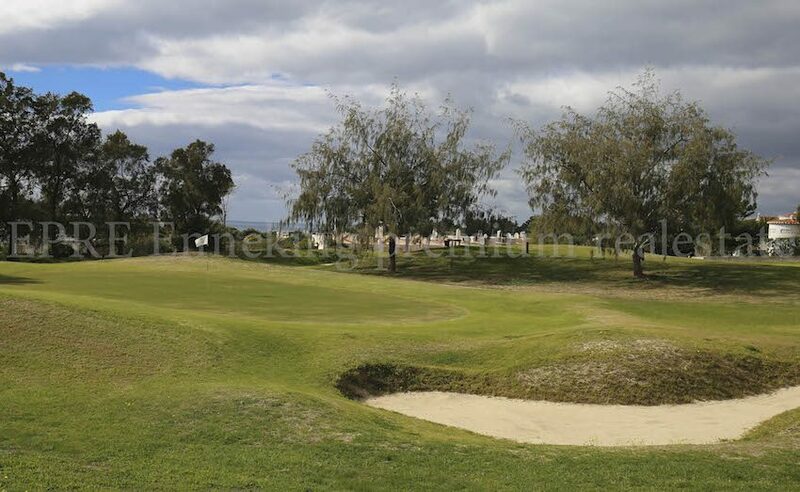 The carport offers space for a car or a golf trolley for the enthusiastic golfer. 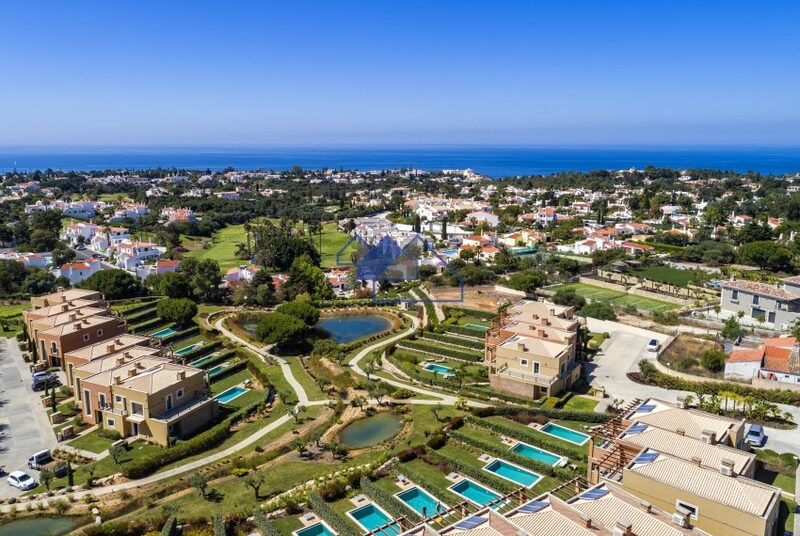 The beautiful fishing village of Carvoeiro is only 2km away. 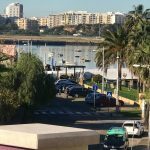 Here you will find supermarkets, shops, restaurants, bars and the Carvoeiro beach. 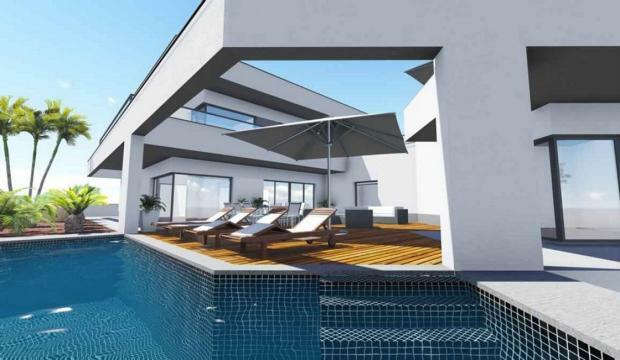 The beach closer to the villa is Centianes beach only 0.8km away. 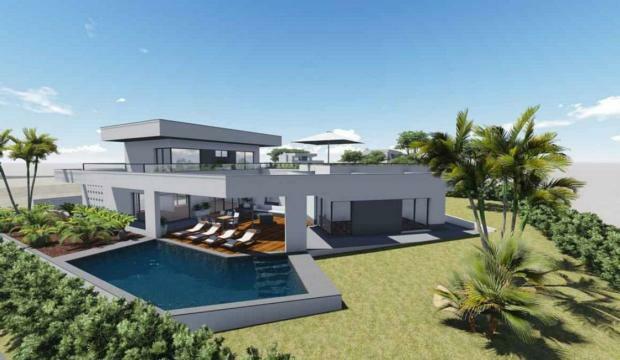 Your dream house in the Algarve!